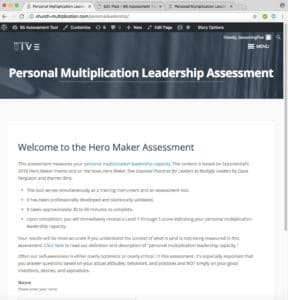 Our Hero Maker Assessment Tool seeks to measure your personal multiplication leadership capacity. The content is based on Exponential’s 2018 Hero Maker theme and on the book Hero Maker: Five Essential Practices for Leaders to Multiply Leaders by Dave Ferguson and Warren Bird. This tool serves simultaneously as a training instrument and an assessment tool. It has been professionally developed and statistically validated. It takes approximately 30 to 60 minutes to complete. 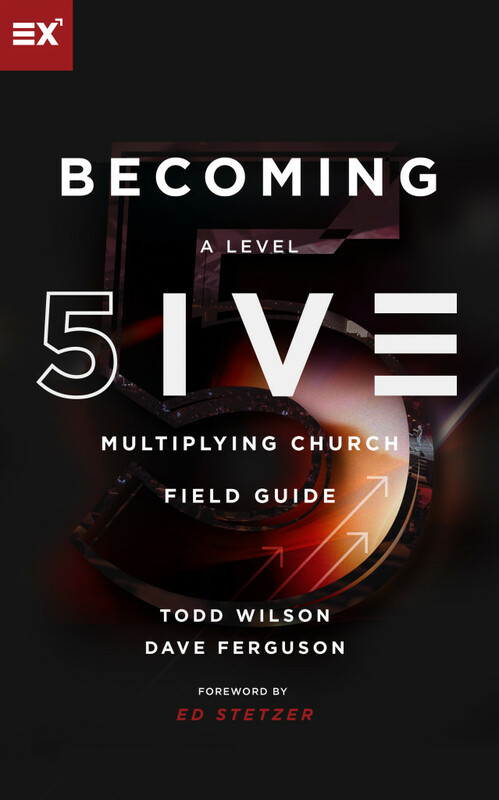 Upon completion, you will immediately receive a Level 1 through 5 score indicating your personal multiplication leadership capacity. NOTE: The current version is stable, but we need to know if you experience any difficulties or confusion taking the assessment. Please send an email to todd@exponential.org with any feedback you have. Let’s start with a short explanation of what “personal multiplication leadership capacity” means and what we are trying to measure. Capacity is simply a measure of the maximum quantity of something. A one-gallon milk container can hold one gallon of milk. Try to put 5 gallons in and you have a mess on your hands. You can’t force more in than what the capacity will hold. Capacity equals the maximum quantity of something that can be contained (or released) within our current realities and constraints. Capacity is always relative to the quantity of something. Examples include the volume of liquid a container can hold, the weight or number of people an elevator can safely lift, the maximum decibels a sound system can produce, and the number of people a room can safely accommodate. In this assessment tool, “leadership” is the quantity we are interested in measuring. “Leadership capacity” refers to how much leadership potential (or capacity) we possess within the current constraints of our skills, competency, training, experience, and understanding. Everyone has a “leadership lid” and leadership capacity is an indicator of our potential (or limit). Capacity can be increased in a number of ways, but we all have a leadership lid (or capacity) at any given time. There are many important ways that we invest in and influence other people. This assessment looks at how effectively you invest directly and personally in the lives of others for the purpose of releasing impact through others. This is the “multiplication” dimension of leadership. Most leaders have embraced and been adopted into a system that values heroism. Those with a large platform, strong communication skills, and a solid message are considered influential leaders with capacity to accumulate and score larger and larger numbers on the scorecard. While these are important leadership characteristics, they don’t necessarily represent the “multiplication” dimension of leadership capacity. We must discern whether we are constrained largely to being “heroes” pursuing larger platforms for accumulation OR whether we are multiplying leadership capacity to the third and fourth generations into the future by being “hero-makers” who see their primary legacy through the leaders they develop and release. Finally, this assessment is focused on “personal” multiplication leadership capacity. This is not an assessment to measure your organization’s capacity. This is a tool to measure your “personal multiplication leadership capacity.” Be careful to answer questions relative to your personal behaviors and practices and not your organization’s collective behaviors and practices. “Personal multiplication leadership capacity” is a measure of where our experiences, motivations, measures of success, attitudes, practices, and behaviors put us on the “hero” vs. “hero-maker” continuum. Again, this is not a measure of where we aspire to be in the future. Instead, it’s a measure of where our current realities put us today. If you already have the assessment open in another tab, simply continue with the assessment in that tab. If you want to take the assessment, click the button below.